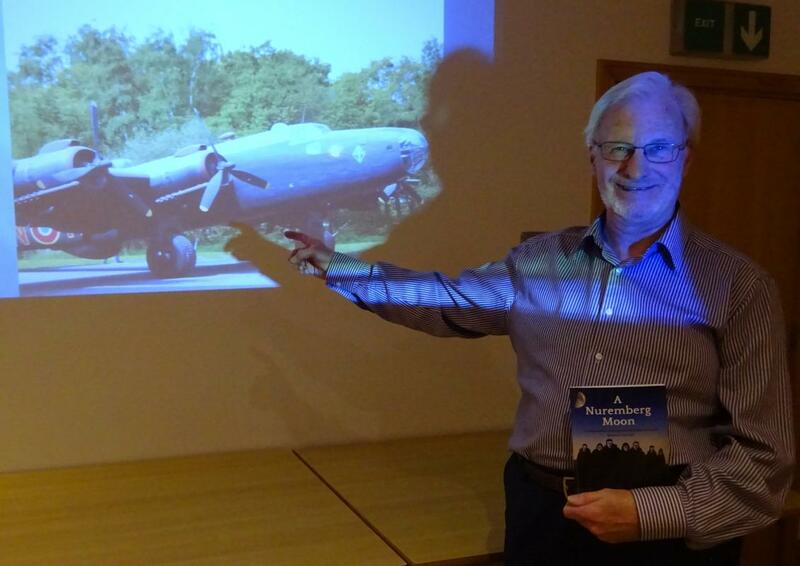 At a recent Club meeting John Chamberlain, one of our members, introduced his new book "A Nuremberg Moon". It tells the story of his cousin who was part of the seven man crew of a Halifax bomber during World War 2. John kept the audience on the edge of their seats as he outlined how over the past four years he had researched the facts about an incident that occured exactly 75 years ago. It was clear that John had carefully planned and structured the evidence and turned it into an exciting novel. Our Club is blessed with two professional authors, the other being Gordon Thomas, with both of them publishing new books on a regular basis. Our members are therefore never short of ideas for presents for family and friends.